Great Canadian and American jockey of the 1920’s, 30’s and 40’s. The George Woolf award is the most formidable jockey award in the nation. “The Iceman” was a jockey for 19 years during which time he rode 3784 mounts including 721 winners. 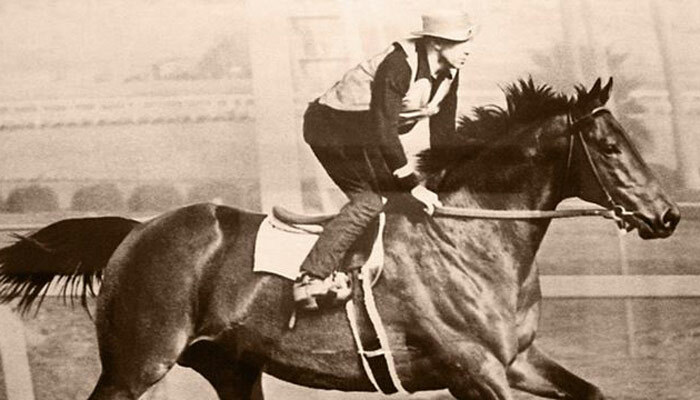 In 1936 he won the Preakness aboard Bolt Venture. In 1938 aboard Seabiscuit he captured the Pimlico Special. In fact the only major race he did not win was the Kentucky Derby. Woolf was killed while riding Please Me at the Santa Anita track in 1946.